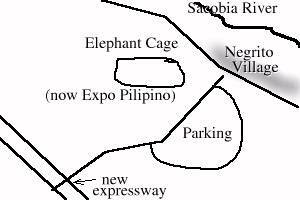 In the 1960s through the 1980s, it was called the "Elephant Cage", lurking on the north side of the base past the medical center. It got the name Elephant Cage because of the cagelike appearance of the antennas that rose up 50 feet around a circle nearly 1100 feet in diameter. The structure supported a large classified antenna array. 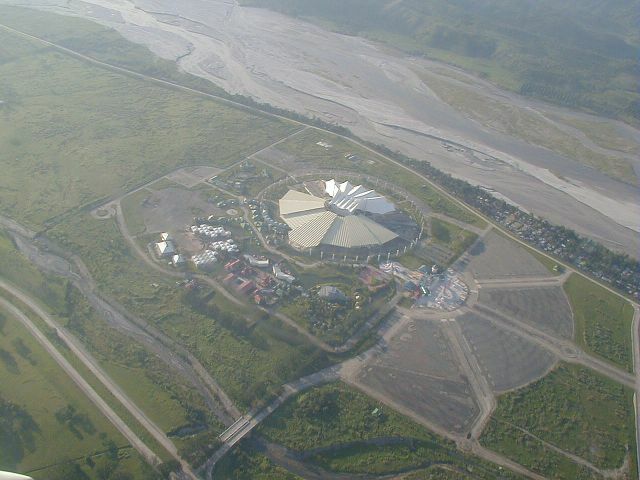 Nowadays it has been replaced by the Expo Pilipino, an entertainment park. Within the Elephant Cage is an amphitheater and technology showcase. Elsewhere in the park are restaurants, museums, and exhibits. It is not known whether the park has opened as management problems have perpetually delayed the opening date. The empty parking lot bears testament to the park's struggles. Want to correct or clarify information about this photo? Send an E-mail to clarkairbase@clarkab.org. Mention you are referring to page "a27.htm".